HOW TO REINVENT YOURSELF, OR LAUNCH YOUR CURRENT CAREER TO THE NEXT LEVEL WITH A SIX FIGURE BOOK DEAL! 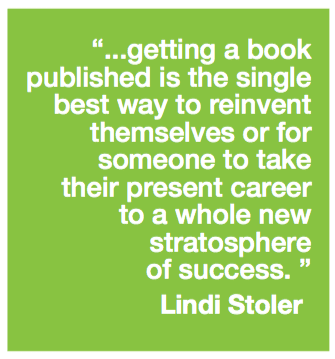 Lindi Stoler has been helping people reinvent themselves or take their present career to a whole new level of success since 1980. She has worked with house- wives, beauty and health experts, fitness gurus, human potential leaders, chefs, professionals such as holistic practitioners, medical doctors, psychologists, attorneys, entrepreneurs, business experts, and many more. She has also helped celebrities like Tony Robbins and Michael Jackson, actors Sylvester Stallone, James Brolin and Linda Gray, Gary Goldstein who produced “Pretty Woman” and the “Under Siege” movies, and many others. Her expertise is helping people make a real name for themselves and thrive financially from it! Interviewer:​ ​ Are the times we’re in causing more people to have to start over and reinvent themselves? Lindi:​ Yes. More people than ever before are finding themselves in a position to have to reinvent themselves where their careers are concerned. Today, there are more baby boomers than ever before that either were let go, took or faced early retirement, or simply retired because they could and now are bored and are looking for new opportunities. Also, there are more people facing economic challenges from divorces, failed business ventures, being cut from a company that went under or downsized, extreme burnout or loss of interest in their jobs, and a myriad of other reasons. Q: Are the times we’re in causing more people to have to start over and reinvent themselves? A: Yes. More people than ever before are finding themselves in a position to have to reinvent themselves where their careers are concerned. Today, there are more baby boom- ers than ever before that were either let go, faced early retirement, or simply retired because they could, and are now bored and looking for new opportunities. Also, there are more people facing economic challenges from divorces, failed business ventures, being cut from a company that went under or downsized, extreme burnout or loss of interest in their jobs, and a myriad of other reasons. Q: What about people that don’t have to reinvent themselves, who have a good career that they just want to take to a new level of success? A: It’s very similar for people currently employed these days. Many of those that are already in successful careers are suffering from boredom or serious burnout. Often, they are desperate to find a way to leverage themselves out of day to day clients or patients and find a new opportunity which provides another income stream as well. Others just want to find a way to launch to the next level of success or really skyrocket to the top because they are simply ready to do that. Q: When you come in to strategize either someone who has to reinvent themselves or someone who simply wants to take their current career to a new level of success, what do you suggest is the best way to do that? A: Of course, there are a variety of ways, but I have found that getting a book published is the single best way to reinvent themselves or for someone to take their present career to a whole new stratosphere of success. Q: What kind of books are publishers primarily looking for? A: Major publishers like to publish books on women’s issues, men’s issues, health, nutrition, diet, fitness, food, human potential, spirituality, business, finance, legal matters, marriage, relationships, family, interior design, beauty, and other topics from a person with a lot of experience in one of those areas. They choose these types of books to publish because these topics have a long history of becoming continuous big sellers. If you are a medical or holistic doctor, nutritionist, chef, fitness trainer, attorney, entrepreneur, business consultant, financial consultant, psychologist, interior designer, skin care expert or any other creden- tialed professional you are a good candidate for a book deal. Q: What if someone has no idea what to write about? A: If someone has an expertise in any area, I can usually figure out what book they should write so it has commercial viability and appeal. I look at every possible topic they could write about, based on their education, the expertise they have, all of the knowledge they possess in different areas, and what new angle that they could lend to a current, popular trend. Like peeling an onion layer by layer, I lead my clients through a 30 day book strategy process that reveals the perfect book they should write. I also figure out what should go into each chapter and how the book should be formatted and written. A: After I finish the strategy phase, I write a 50 page or so proposal that’s based on the strategy. Publishers do not buy whole books. They buy the book from a proposal. When it is finished, I send the proposal to the literary agents that publishers have been buying book ideas from for many years. I have long term relationships with these agents. Should a publisher decide they want the book, they will give my client up to a year to write the book and a large monetary advance that often can end up being six figures. The advance is theirs to keep and never has to be paid back regard- less of book sales. Q: What if a person is too busy to write the book or doesn’t know how to write? A: The agent or publisher will supply names of ghostwriters that they can hire to write the entire book for them. I usually suggest that they use a ghostwriter from start to finish. The author just supplies the information and the ghostwriter does the actual writing. They can use a ghostwriter for the proposal as well if they want to. Q: Who pays for all of the book related costs once it is written? A: The publisher pays for the complete design, layout, printing, distribution, in house marketing and publicity for the entire lifespan of the book. Q: How quickly can you see results from a published book and what are they? A: Having a book deal with a major publisher adds tremendous credibility to your personal career and can also skyrocket your business too. You can become well known relatively quickly when you have a mainstream book in circulation. This is because you will be doing book signings, giving talks, appearing on radio and television, and your book will be getting reviews in newspapers and magazines. Just one appearance on a radio or TV show, good reviews or the right social media can some- times launch the book into instant popularity with sales soaring as a result, and the book moving into best-seller status. Additionally, you will probably get future book deals offered to you and have a new lucrative career as a well-known author. You will also get many new opportunities locally, nationally and internationally. You will be able to pick and choose from them. Q: I know you’ve worked with some very famous people but can you share a story or two of some very ordinary people who got book deals. The second story began several years ago. I had started adding juices to my already healthy diet. It became so time-consuming though, prepping and cleaning up, that I looked for a juice company that would do all of the work for me and then deliver the juices to my door. This was before juicing became the rage that it is today. The company I called had a small online business and a little juice stand in Orange County. The person who answered the phone turned out to be the owner and had to take my order quickly because she was late to get to a writing class. When I asked her why she was taking a writing class, she told me it was because she wanted to write a book on juicing. She had no idea what she was going to write about, she did not know how to write, nor did she know anything about how to get a book published. It turned out to be great timing for us to meet. She made beautiful, cold-pressed organic juices for me and also hired me to help her turn the word “juicing” into a household name. Instead of just strategizing a straight book on how to make different type of juices, I strategized it into how to reset your body for health, vitality and beauty. Suddenly, with this new twist, the book became a hot, commercial property that got one of the biggest literary agencies on board. The next thing you know the book had 13 publishers interested and six publishing deals on the table to choose from. Her company expanded and the book helped birth the juicing trend all over the country. Q: Are there a couple of people you can think of off hand that we might all know who launched their careers to a big level by writing a book? A: Yes. Tony Robbins was doing fire walking seminars in just a few cities before his book “Unlimited Power” was published. It became a bestseller, gave him enormous credibility beyond the fire walks and exploded his career. The book is still sold all over the world some 30 years later. It opened the door for hundreds of thousands of people to flood to new semi- nars that he added, including exclusive ones on a private island, a series of infomercials that made hundreds of millions of dollars and appearances on TV shows and even in movies. Q: Do you have a final few words of advice? A: Yes. Very few people start out at the top. For most it’s a gradual, uphill climb. However, at a certain point, when someone is ready to take a bigger leap, there will be one thing that launches them to the next level or to the very top. That one thing is like a tree trunk that sprouts all of the other branches. That’s how I see books for most people. 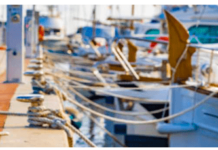 It provides money, credibility, builds their business to a whole new level and like the tree trunk, so many new and amazing opportunities branch out from it.